Thank you for visiting us today! If this is your first visit, take your time and look around. Our site contains a lot of valuable information and resources for you to take advantage of. If you are a return visitor, welcome back! For assistance, please call or email us anytime. Our team of Natchitoches real estate experts will provide you with the best service and results. 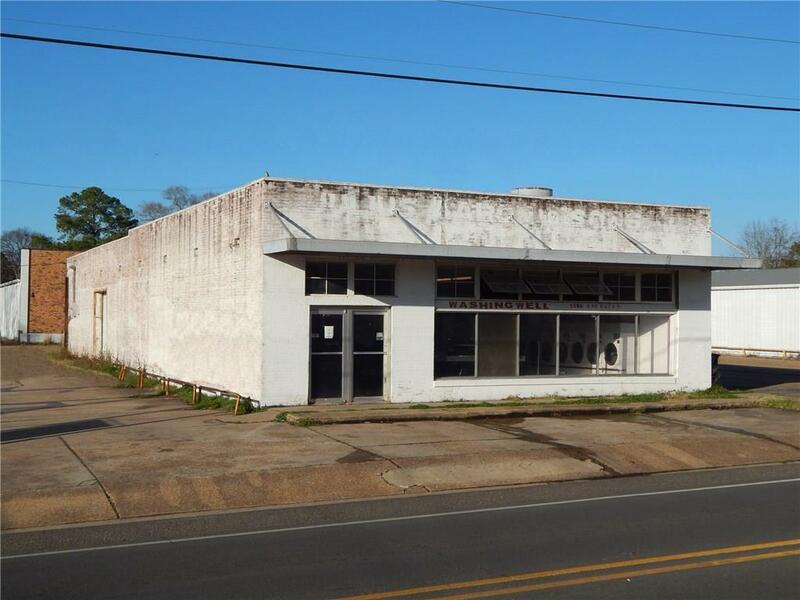 Versatile commercial building in high traffic location with ample parking. The substantial exterior walls and truss supported roof allow for non-load bearing interior walls to be configured as needed. It is currently divided into a 42' x 35' laundromat and a 42' x 65' shop/storage space. The laundry machines and equipment can be part of the sale and the business practically runs itself. The top of the structure is protected by a single membrane which is the preferred roof type for commercial buildings. There is a windowed storefront and entry door, a roll-up side door, and a rear door as well. The large corner lot has frontage on two streets and access on all sides. Directions: From Washington Head West On Texas. Property On The Right. © 2019 Natchitoches Board of REALTORS All rights reserved. Information deemed to be reliable but not guaranteed. The data relating to real estate for sale on this website comes in part from the Broker Reciprocitysm Program. Real estate listings held by brokerage firms other than Cane Heritage Realty are marked with the BR logo and detailed information about them includes the name of the listing brokers. Listing broker has attempted to offer accurate data, but buyers are advised to confirm all items. Information last updated on 2019-04-24.